National Council for Community and Education Partnerships (NCCEP) hosted their annual GEAR UP Conference in the Nation’s Capital. The conference was packed with superheroes who came for over 100 Concurrent sessions as well as Plenary sessions which featured nationally recognized individuals in the field of education and workforce development, as well as education policy makers, political appointees, philanthropy, business leaders, and others who champion the cause of improving public education and making postsecondary education more accessible to underrepresented communities. 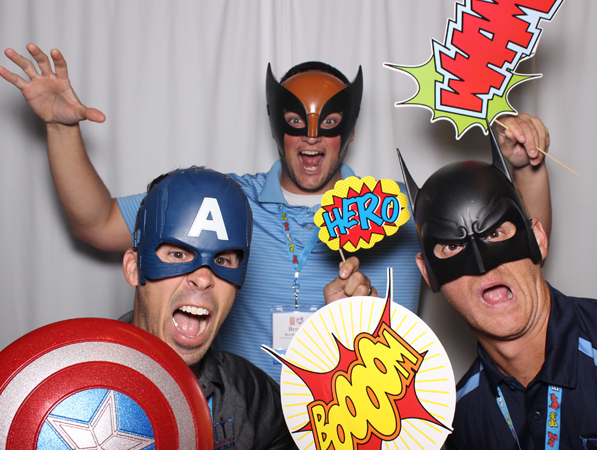 Our Photo booth captured many superheroes in action, including Austin Perine!